New Zealand’s Milford Track walk is a 54 km route that takes walkers through some of New Zealand’s most inspiring landscapes. A wonderful walking holiday. The walk must be done in 4 days, as the track can only support 40 independent walkers and 40 guided walkers per day during the walking season. The following is an outline of the 4-day walk itinerary. Begin at: Start from Te Anau, in New Zealand’s South Island. How to get there: Take a bus from Christchurch. A bus will transfer you to the wharf at Te Anau Downs, where a ferry will take you to Glade Wharf. This is an easy day along a fire trail to Clinton Hut. More challenging, along the Clinton River with a gradual climb to Mintaro Hut. This is the day that we climb 500 metres to the wonderful MacKinnon Pass, and then 1000 metres to Dumpling Hut. Day 4.To Sandfly Point and Te Anau (18 km) – your destination! Quite flat today, but the track seems to go on forever – until we arrive at Sandfly Point. How to get back: Bus to Te Anau via the Homer Tunnel. 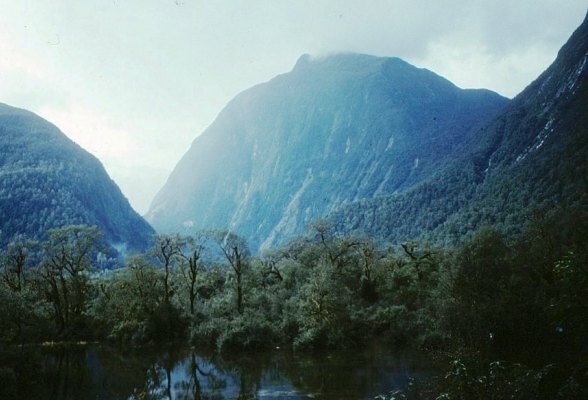 Walking the Milford gives you the opportunity to experience the clean great outdoors of New Zealand, and follow in the footsteps of its great explorers.